Is it smart to look for a discount health insurance plan? Home / FAQ / Is it smart to look for a discount health insurance plan? Everyone is looking for health insurance cheap – and better coverage too. The truth is you may not be able to find a plan that offers both. Discount health insurance plans claim to save you money for a low monthly membership fee. If you do not have health insurance these discount plans may be an appealing option but make sure you understand the plan you are buying. If you are looking for health insurance quotes type your ZIP code into the FREE search tool! Discount health insurance plans are not health insurance. They do not offer the same protection. There are low cost health insurance policies on the market though. Always carefully read a plan or policy and research the company you are buying it from. How do discount health insurance plans work? Discount health plans offer you savings on a variety of services. They may include dental and vision as well. You just sign up with their company and for a low monthly fee you can access the discounts. Each company has their own list of coverage, providers and monthly fees. Of course, you want to do a thorough health insurance comparison before choosing. They will send you a package and savings card in the mail. You find providers in your area that accept their savings card and you will receive a discount on services. The amount you save will depend on the provider or service. The reason that discount health insurance plans are so appealing is there are no claims, referrals, or waiting periods. They even offer discounts on services for preexisting conditions. What are the drawbacks to discount plans? Everyone wants to keep the cost of health insurance low. Discount health insurance plans are marketed to people desperate for relief from the high cost of medical bills. They are not regulated by the Department of Insurance because they are selling a savings card which is not actually health insurance. The Coalition Against Insurance Fraud warns that some of these savings plans may be too good to be true. They use insurance terms to confuse consumers into thinking they are getting protection. They have also received reports of companies creating false lists of providers that accept their plan. Another common problem is hidden fees. 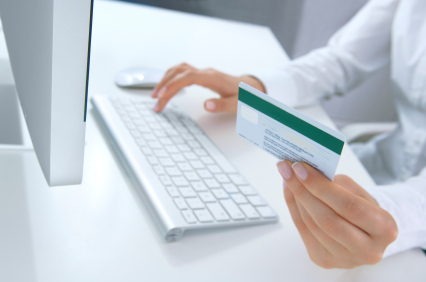 They hide administrative charges or fees for using the card. These fees can add up fast and your discount card may end up costing more than a health insurance policy. You can research a company at the Better Business Bureau or with your local state Attorney General. Your state’s Department of Insurance regulates health insurance companies and may also have reports on discount plan scams. What are types of low cost health insurance policies? There are different types of low cost health insurance plans that companies offer. These policies can be a great option for most people in good health. They can also be combined with a health savings plan for maximum benefits. Managed care plans such as HMO, PPO, and POS have been marketed by health insurance companies as low cost. The insurance company negotiates costs with doctors and facilities cutting down on how much they have to pay on claims. As long as you stay on their network and follow the specific rules set out by the policy these plans can be great. Copayments are what you pay when you see a doctor. You will pay this every time you see your primary care physician or any specialists. Deductibles are the amount you will have to pay before your insurance starts to pay. This may be for all medical care or only specialty care such as surgery, testing, or specialists. Another plan which health insurance companies offer as a low cost policy is a high deductible health plan. They are also called consumer driven health plans. You see any doctor you want and pay for your care until you reach your deductible. After the deductible has been met, the insurance company will pay a set percentage on any care you receive. Type your ZIP code into the FREE search tool to get FREE health insurance rates now!